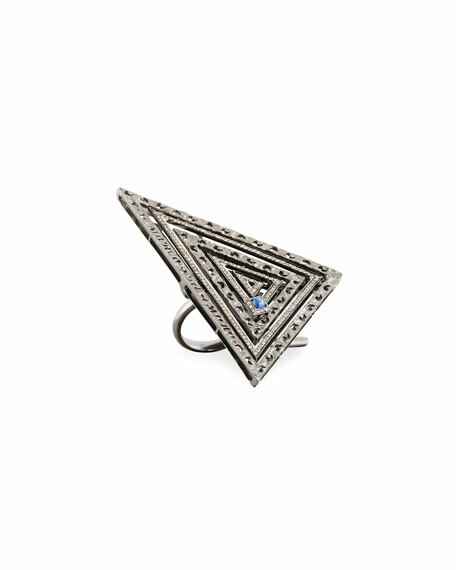 Triangle statement ring by Marco Dal Maso. 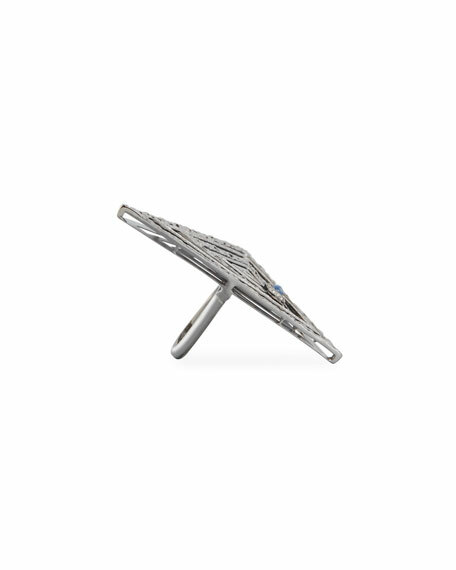 Champagne diamonds with blue corundum detail. 1.19 total champagne diamond carat weight. 0.26 total blue corundum carat weight.